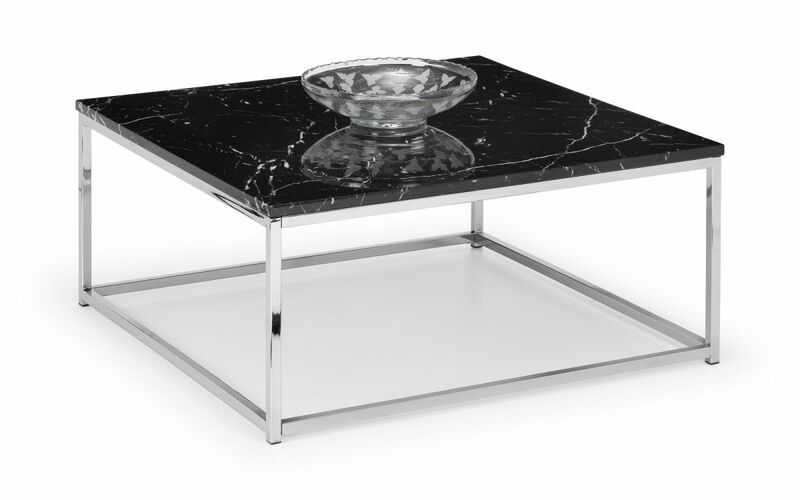 The Scarlet coffee table is an attractive and yet solid & Sturdy table which is set in a really lovely black marble effect top with a a chrome plated steel frame ensuring durability. The table is sure to provide a serene and inviting focal point to your room. 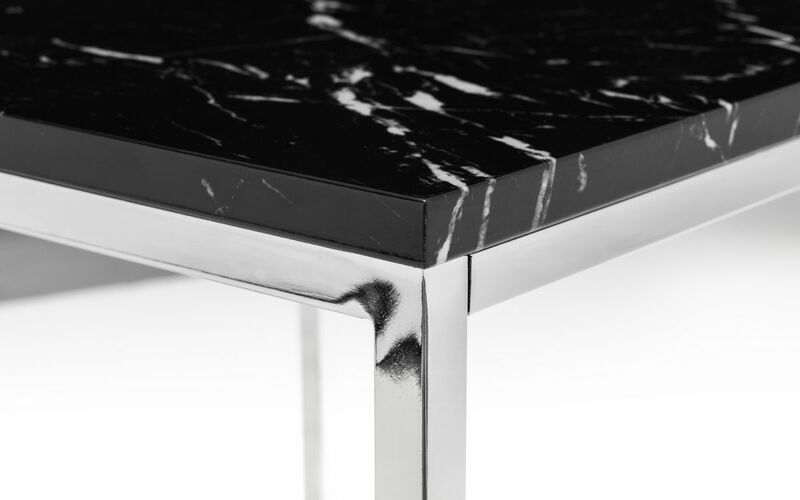 With its sturdy craftsmanship with a monochromatic marble effect top which creates a look that is at home in both modern and period surroundings. The clean, modern style will provide you with a handy place for you to put a refreshing drink after a long day.